Important current affairs of 24th december 2014 are given below. 1. 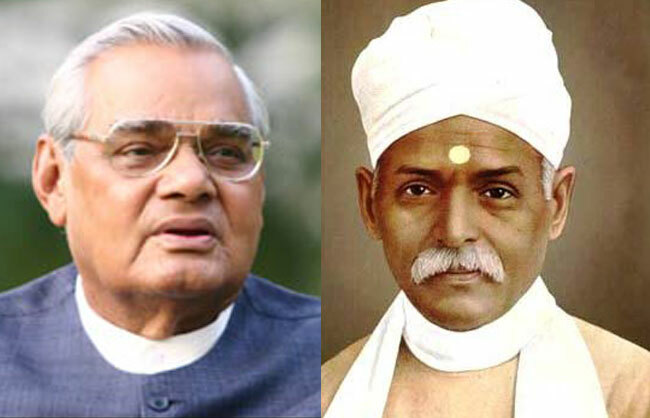 Former PM Atal Behari Vajpayee and Pandit Madan Mohan Malviya are to recieve Bharat Ratna this year. * President’s office on 24th december declraed the Bharat Ratna award to Pandit Madan Mohan Malviya (posthumously) and Atal Behari Vajpayee the former prime minister. award of India. It was instituted in 1954. First reciepents of this award are C. Rajagopalachari, Sarvepalli Radhakrishnan and C. V. Raman. 2. RBI extended the deadline for pre-2005 notes to 30th June 2015. * The deadline for exchanging pre-2005 currency notes of various denominations, including Rs.500 and Rs.1,000, has been extended by another six months till June 30, 2015. 3. Walmart’s new cash and carry store in India at Agra. * The US based retail store has decided to open its cash and carry store in India at Agra. Lucknow, Hyderabad, Guntur and Vijayawada. 4. S. Bhattacharya appointed as CMD of Coal India Ltd (CIL). * S Bhattacharya, a 1985 batch IAS officer, for the post of chairman and managing director of Coal India Ltd, the world’s largest miner. * Mr. Bhattacharya was the front runner among the 12 contenders for the post as recommended by The Public Enterprises Selection Board (PESB). * He took over the charge from additional secretary (coal) A.K. Dubey who was given the additional charge following the resignation of S. Narsing Rao from the post in May. 5. Modi to inagurate Indian Science Conference (ISC) to be held at Mumbai on 3rd January 2015. * The 102nd session of ISC is scheduled to be held at Mumbai. * The theme for this year is “Science and Technology for Human Development”.